Woo Hooo!!! It’s Football Season!!! 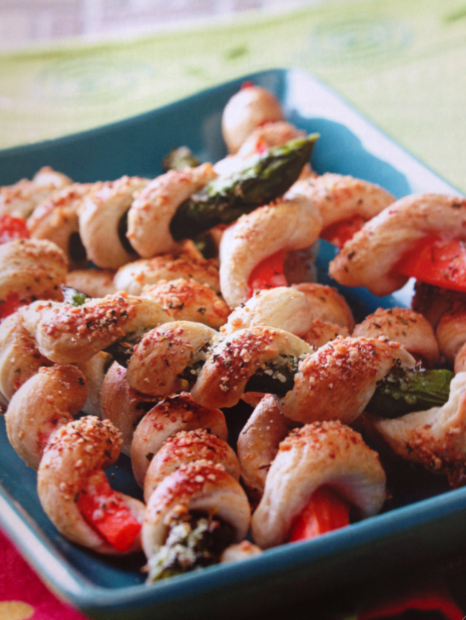 Yummy finger foods are an absolute requirement for tailgating or watching football at home! No matter what team you’re rootin’ for, amazing appetizers are sure to please as you cheer on your home team. One of my dearest friends gave me a fabulous cookbook several years ago and it quickly became one of my absolute favorites. It’s Taste of Home’s “The New Appetizer: The Best Recipes For Today’s Party Starters.” I just have to share some of my favorite recipes with you all. All of these have been total hits every time I’ve made them! Cut the turkey bacon strips in half, cook them in skillet – but don’t let them get too crispy! Wrap each water chestnut with a strip of bacon and secure with toothpick. Place in an ungreased baking dish. Combine the brown sugar, mayo and chili sauce (I add more chili sauce if I know my Dad or anyone else who LOVES hot stuff will be partaking of this dish!) Bake uncovered at 350° for 30 minutes or until hot and bubbly. You will find that it is impossible to eat only one! *These tasty things are super easy to make! And even my pickiest child eats them! Make an indention in the center of each biscuit, sprinkle with your seasoning of choice. Cut the mozzarella into cubes and place cube in center of biscuit. Sometimes I add a small spot of the sauce before pinching the dough tightly around the cheese to seal. Place seam side down on an ungreased baking sheet. Spread pizza sauce over tops. Bake at 375° for 10-12 minutes or until golden brown. These yummy puffs are so easy and filling for any gathering! *These appetizers look pretty and provide a bit healthier munching option! Cut carrots lengthwise into quarters. In large skillet, bring 2 inches of water to boil. Add carrots; cook for 3 minutes. Add fresh asparagus; cook 2-3 minutes longer. Drain and rinse with cold water; pat dry. Cut each piece of breadstick dough in half. Roll each piece into a 7 inch rope. Wrap one rope in a spiral around each veggie. Place on baking sheet coated with nonstick cooking spray; tuck ends of dough under the veggies to secure. Brush with egg white. Combine the parmesan cheese and your seasoning, then sprinkle over the sticks. Bake at 375° for 12-14 minutes or until golden brown. I like to offer BBQ sauce for dipping – or of course can offer ranch dressing, which you can dip anything into! Let me know if you try any of these recipes out. 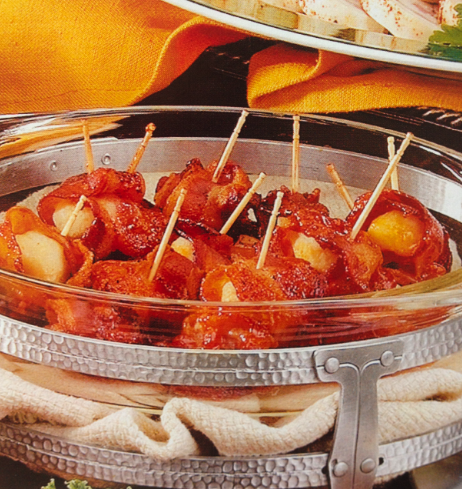 And please do share any fabulous football season appetizers you’ve scored with! Here’s to a college football season full of fantastic foods! This entry was posted in Food, Recipes, Shannon Boatwright and tagged Appetizers, Columbia, columbia sc, cooking, every woman blog, Fall, Famously Hot, food, Football, hospital blog, Lexington, lexington medical center., lexington sc, Lexington Women, lmc, LMC every woman blogger, Midlands, Midlands Women, Recipes, shannon shull, South Carolina, South Carolina Women, Women, women's blog, women's hospital blog by Kate Gillmer. Bookmark the permalink.